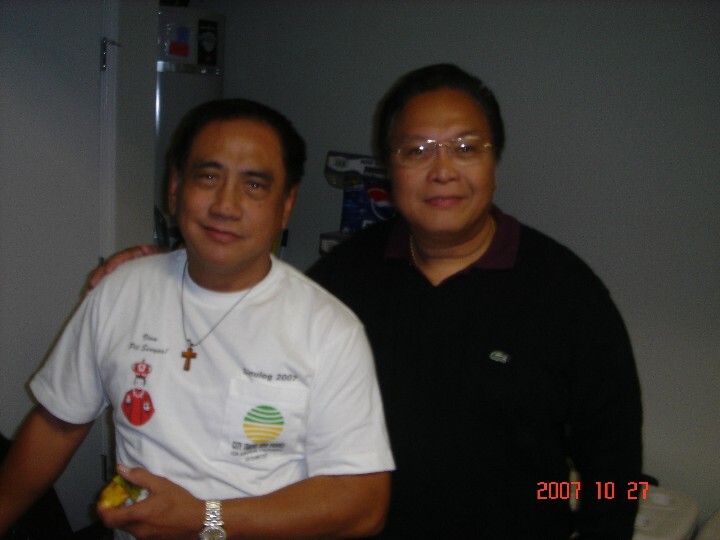 Meet the Santo Nino de Cebu Association of Southern California, Inc.
by May Toling-Mediano, November 24, 2007. It was our greatest pleasure and opportunity to mingle with the officers and members of the biggest organization, the Santo Nino de Cebu Association of Southern California, Inc. made possible through an old friend, Cesar Mayol, a former Math and Physics teacher from UP Cebu, now a Manufacturing Controller of a US firm in Los Angeles, CA. He and his twin brother “Augs” is an acquaintance to many of my UP friends during the early 80’s and it is with gratitude that Cesar and Augs facilitated our meeting with the newly elected President, Oscar Ramirez and the rest of the officers and members of the organization. 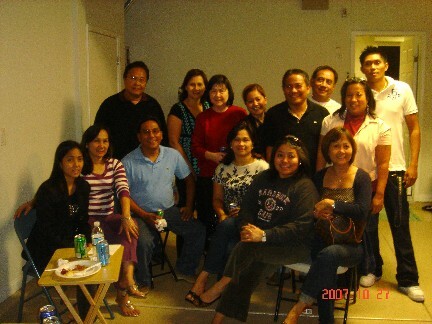 The meeting place was held at the residence of Albert & Grace Diola, who hosted the October 27, 2007 novena in Rancho Cucamonga, CA, and also to celebrate the birthday of their son Lyndon and blessing of their new home. The Association started in 1978 as a Southern California chapter of the Santo Nino Association of San Francisco. Its founder and first president was Mrs. Fortune Holz and through the 29 years since its inception, the organization has grown to more than 300 members of today. Its nexus is the great devotion to the Santo Nino and along with the principles of spiritual growth, community service, and camaraderie of Cebuanos, this organization have raised funds to finance several charitable projects in hometown Cebu and Los Angeles. Aside from the observance of its annual Sinulog fiesta every 2nd Saturday of January to give ample time for the members to fly to the real Sinulog date on the 3rd Sunday of the month in Cebu, the organization also celebrates family time and bonding among its members, family, and friends through annual camping trips at Lake Silverwoods in Hesperia, CA during the summer. 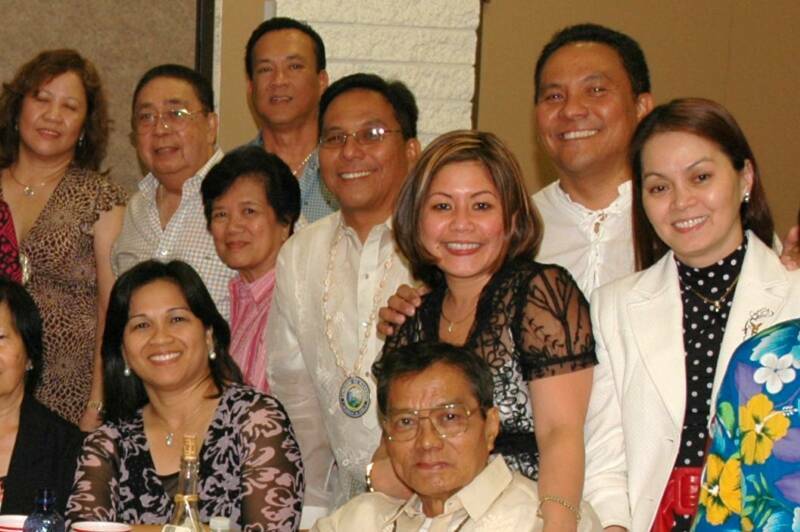 The December 1, 2007 novena is hosted by Augs and Joy Mayol at their residence in Rancho Cucamonga, CA. The annual Dinner Dance and Oath Taking will be held at the Newmark Ballroom, Quiet Cannon, Montebello, CA at 6pm, Saturday, December 22, 2007. Congratulations to the new officers and Board of Directors! With my associate, Teresa Martinez-Sepulveda, we had a good chat with Oscar Ramirez and Nolie Damole who personally attended to our queries while we took down our notes and to Cesar and Augs together with the support of their spouses respectively Evan and Joy warmed us up to their hospitality. We look forward to covering your main event, the Sinulog festivities come January 12, 2008 at St. Cornelius Church 5500 Wardlow Avenue, Long Beach, CA 90825. Pit Senor!!! From L to R (seated) Adele Mediano-Roa, Grace Alfeche Macarasig, Augs Mayol, Joy Alfeche Mayol, May Toling-Mediano, Pureza (Tootsie) Mayol) (standing) Oscar Ramirez, Malou Suico, Gemma Mayol, Evan Mayol, Cesar Mayol, Nolie Damolie, Teresa Martinez-Sepulveda, Lyndon Diola (birthday celebrant).